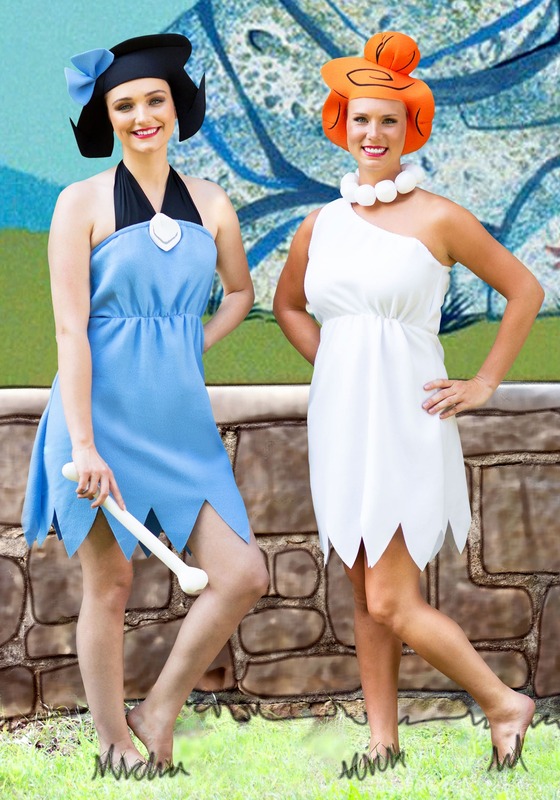 The Flintstones are the most revolutionary cave people of all time. Bedrock was on the cutting edge when they figured out how to get dinosaurs to help them out. When we drop in on this community, they're living it up! They've got little birds for doorbells and sirens, a giant crab for a lawnmower, and a real-life cuckoo clock! They even have airplanes strapped to pterodactyls! We're pretty sure that without electricity if they were in the world today against us, they would still seem far more advanced. Maybe we could learn a thing or two from them about being environmentally friendly and still living that luxurious lifestyle. And have you seen those Brontosaurus ribs? They're so huge! That thing could feed an army! No wonder Bam Bam's such a strong little toddler! 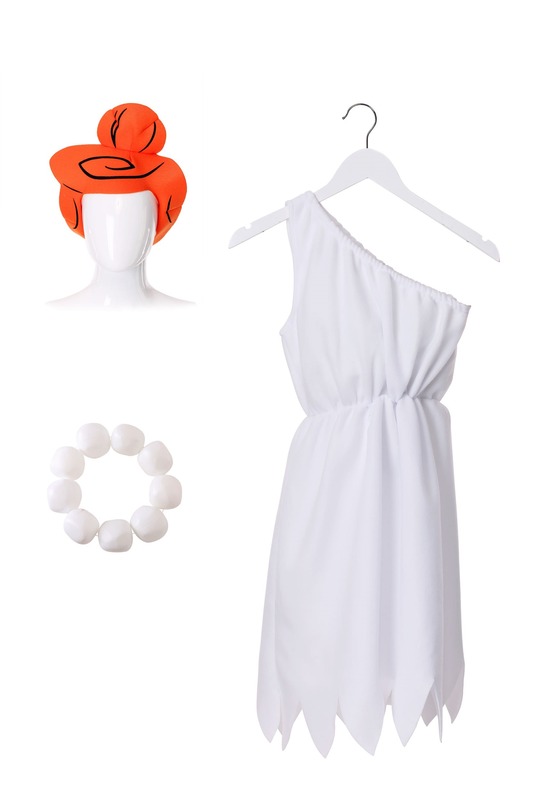 You'll live up that prehistoric lifestyle with this white one-shouldered dress is elastic so that it fits securely. It also has a ragged cavegirl hemline. The waist is cinched with elastic for an adorable look. You'll also receive a wild, cartoon wig and a chunky faux-boulder necklace. 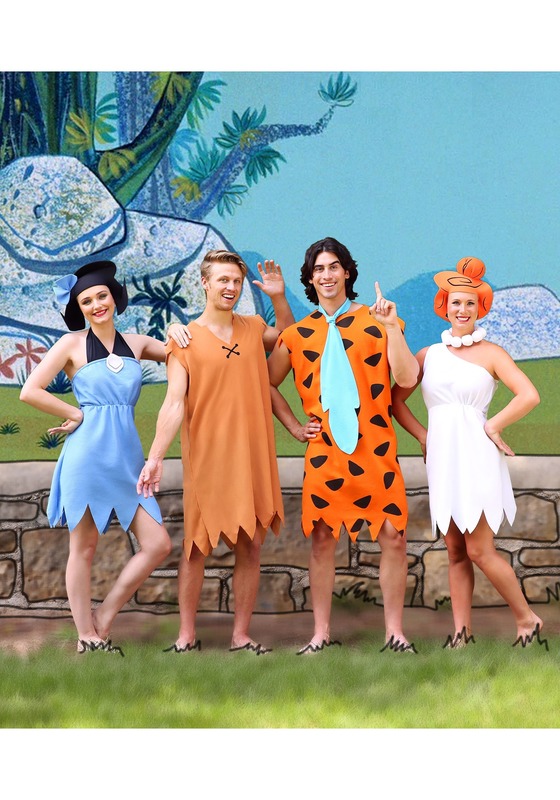 Pair this costume with a pair of sandals and you'll look right at home in the Mesozoic Era. Be the queen of the Paleolithic era and utilize dinosaurs for the coolest things (even a garbage disposal and vacuum). In gorgeous white and orange, you'll feel like the bell of the prehistoric promenade. 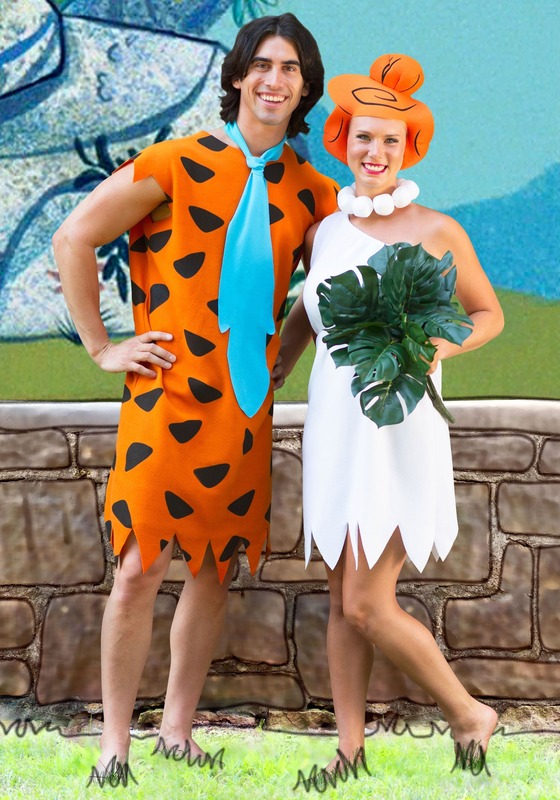 This costume is great for a Halloween, TV show themed, or caveman party! Don't forget to grab your best friend Betty and let Fred and Barney tag along, too, for a classic group theme. 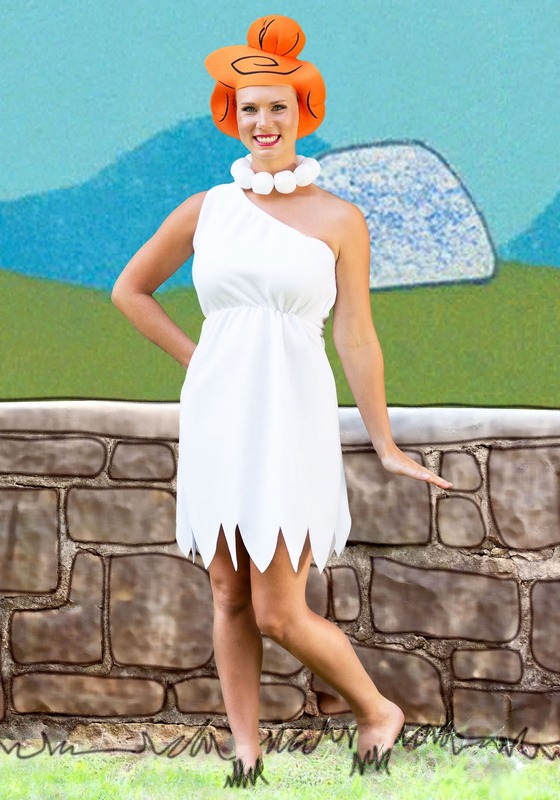 Have a yabba dabba doo time this year with this Wilma Flintstone Costume. Just because you're a prehistoric lady, doesn't mean you're old school!